Our philosophy is to provide our customer with a full range of custom machining services. Having skilled team members machine products and provide services that meet and exceed customer expectations in an environment of continuous improvement and growth. 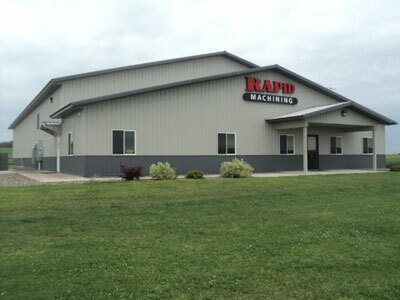 Rapid Machining, LLC was established in 2007 on Jan 1st. We employ 20 full-time and part-time employees. Our employees consist of manufacturing engineers, highly qualified machinists and trained machine operators. We currently run 3 shifts of operation consisting of first and second during the weekdays and a first shift on the weekend days. Rapid Machining, LLC has adopted a Quality Management System with committed team members that focus on meeting or exceeding our customers' expectations. This system allows us to excel in our efforts to continually improve and grow in stature.